Today is the 12th anniversary of the first post on this blog, and as in previous years I’m going to use this as an opportunity to sum up my thoughts over what’s been going on in my corner of the Microsoft BI world in the last twelve months. I think it’s fair to say that 2016 was the year that Power BI became the big commercial success that many of us hoped it would be. After the achingly slow uptake of Power Pivot and the failure of the original Office 365 Power BI it’s great to see Microsoft BI with a hit on its hands. Many of my existing customers have started using it alongside the rest of the SQL Server BI stack, especially SSAS, because it’s much easier to build reports and share them via the browser or mobile devices than with SSRS or Excel. I’ve also started working with new type of customer, one that I’ve never worked with before: small and medium organisations (including many not-for-profits) who have Office 365 but no existing BI solution, the kind of organisation that does not have the money or resources for a SQL Server BI solution or indeed any other kind of traditional BI solution. This, I believe, is where the real opportunity for Power BI lies and where the majority of the new growth will come from. Apart from my own customers, there’s plenty of other evidence for the success of Power BI. The energy of the Power BI community, on forums and at user groups, is amazing – and once again, the people that I meet at user groups are completely different to the crowd you get at a normal SQL Server user group. The analysts love it too: for example, Microsoft is now in the Leaders section of the Gartner Magic Quadrant. There’s also the fact that competitors like Tableau have started attacking Power BI in their marketing, so I guess they must consider it a major threat. Why has it been such a success? The underlying technology is great, but then again the technology was always great. The pace of change is incredible and it’s good to see Microsoft throwing its vast resources behind a product with some potential, rather than another Zune or Windows phone. There’s still some catching up to do but at this rate any existing gaps will have been closed by the end of 2017. The willingness to listen to customer feedback and act on it is refreshing. The Excel/Power Query/Power Pivot and SSAS crossover adds a angle that the competition doesn’t have. Finally, the licensing is almost perfect: it’s simple (compared to the usual thousands of SKUs that Microsoft usually comes up with) and cheap/free, although organisations with thousands of users who all need Pro subscriptions find the costs escalate rapidly; I’d like to see special deals for large numbers of users, and some recognition that many users who need to see Pro-level reports don’t need to create reports using these features. I know Microsoft has already heard this from a lot of people, though, and has taken it on board. Probably the only criticism that I can make that Microsoft doesn’t seem to be actively addressing is the fact that the data visualisation functionality is relatively weak. If you know what you’re doing and you have the patience, you can create good-looking reports. For people like me who have minimal artistic talent and limited patience the experience of building reports can be frustrating. There are some features like small multiples that I can’t believe are still not implemented in the core product, and nothing to help users to follow good data visualisation practice. R visuals and custom visuals help fill the gap (I was quite impressed by this one by Business Solution Group, for example, which isn’t available in the gallery) but really Microsoft need to put some more thought into this area. There’s been a lot of good news in the world of Analysis Services this year too. SSAS Tabular 2016 dealt with a lot of the shortcomings that dogged it in 2012 and 2014: a much faster and less buggy development experience; many-to-many relationships supported using bi-directional cross filtering; and powerful new DAX functions and features like variables. SSAS Tabular v.next promises even more great new features such as the integration of the M language. These changes and the fact it’s now available in Standard Edition mean that Tabular should be the default choice over Multidimensional for almost all new SSAS projects. Sadly, it looks like the neglect of Multidimensional will continue for the foreseeable future. I stopped being angry about this a long time ago and I understand that Microsoft need to concentrate their resources on SSAS Tabular and Power BI, but a lot of Multidimensional customers are now wondering where they stand. Either Microsoft needs to show some commitment to Multidimensional by adding new features – it wouldn’t take much to make a difference – or add features to Tabular that make it possible for more Multidimensional users to migrate over to it, for example equivalents to Scope statements or calculated members on non-Measures dimensions. Last of all, Azure SSAS opens up a lot of exciting new possibilities for both on-prem SSAS users as well as Power BI users. Kasper does a great job of summing them up here and I won’t repeat what he has to say; once again I’m seeing a lot of interest from my customers and I’m sure I’ll be helping a few to migrate to the cloud very soon. The pricing seems a bit excessive at the moment, even when you take into account the ability to pause servers, and I hope it changes before RTM. Also it’s SSAS Tabular only at this stage but support for Multidimensional is by far the top-voted request on the feedback forum, with more than five times as many votes as the next highest request, so maybe this will be Microsoft’s opportunity to show some love to the Multidimensional world? Last Friday’s big news was the release of the first CTP for Analysis Services v.next. Among several major new pieces of functionality (Ragged hierarchies! Drillthrough that works properly, even for calculations! Table-level security!) probably the biggest is the integration of Power Query/M into Analysis Services. As you can probably guess, I’m incredibly pleased that my two favourite technologies have got together. The technical details are given in this blog post, which I suggest you read if you haven’t done so already, but what I think is missing is an explanation of why this is so important and what kind of opportunities it opens up – hence this post. Of course this is just my take on the subject and not what Microsoft may actually thinking; it’s also very early days, so as the functionality develops and I have more chance to think about this my opinions may change. If you have any ideas on this subject I would be interested to hear them so please leave a comment! 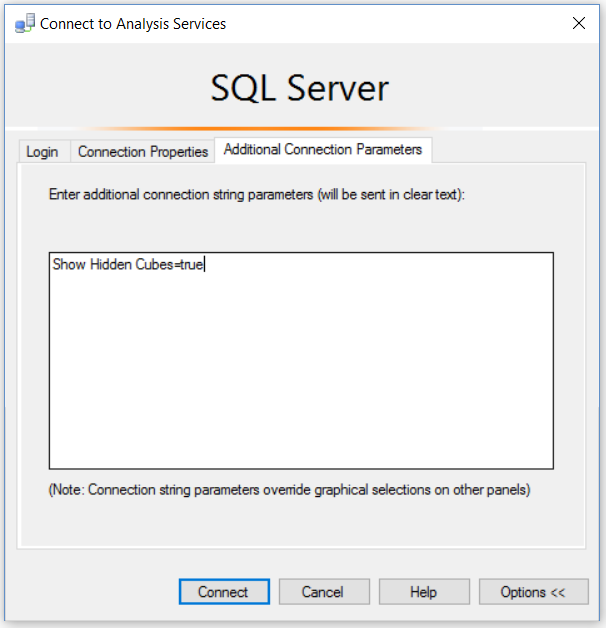 There is an obvious reason why Microsoft decided to integrate Power Query/M into SSAS, and that is because it needs to support the conversion of Power BI models into Analysis Services Tabular models. There are two scenarios where this will be necessary. The first is the ability to convert a Power BI model into an Azure Analysis Services Tabular model (listed as ‘planned’ here), something that will be a key selling point for Azure Analysis Services when it releases. The engine behind Power BI is essentially the same as the one used in Analysis Services so migrating the data model should be straightforward, but since Power BI uses Power Query/M to load data then a migrated Azure Analysis Services model will also have to use Power Query/M. The second scenario is similar to the first. We now know that on-premises Power BI will be delivered through Reporting Services v.next, and it’s reasonable to assume Reporting Services will need a database engine to store the data for published Power BI reports. That engine will have to be an Analysis Services instance of some kind (either standalone or running in-process inside Reporting Services) and again for that to work Analysis Services will have to support the same data access mechanisms as Power BI. I’ve just argued why Microsoft was obliged to include this functionality in SSAS v.next but in fact there are many positive reasons for doing this too. The most obvious one is to do with support for more data sources. At the moment SSAS Tabular supports a pretty good range of data sources, but the world of BI is getting more and more diverse and in order to stay relevant SSAS needs to support far more than it does today. By using Power Query/M as its data access mechanism, SSAS v.next will immediately support a much larger number of data sources and this number is going to keep on growing: any investment that Microsoft or third parties make for Power BI in this area will also benefit SSAS. 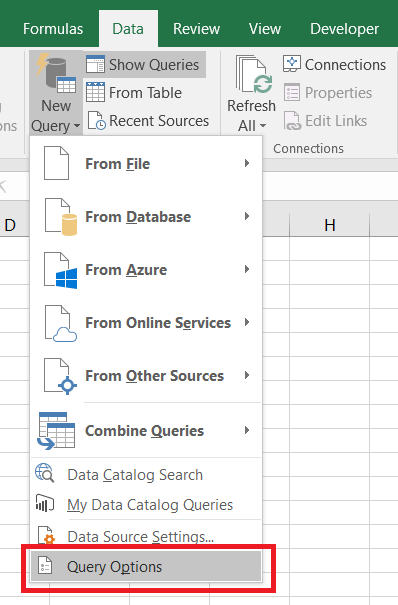 Also, because Power Query/M can query and fold to more than just relational databases, I suspect that in the future this will allow for DirectQuery connections to many of these non-relational data sources too. As long as a partition’s M query adheres to the column mappings of the table, you are free to perform any transformations and pull in data from any data source defined in the model. 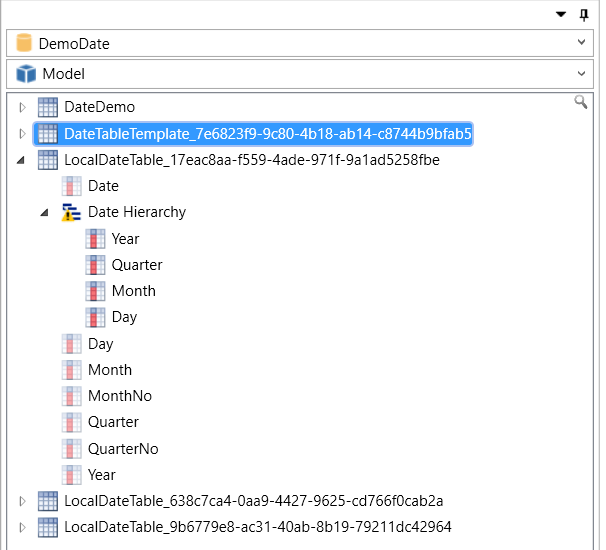 In SSAS 2016 the partitions in a table all have to get data from the same data source whereas in v.next we’ll be able to get data from different data sources in different partitions, and this opens up some interesting new possibilities. For example, I can imagine a simple budgeting application where the partitions in a table get data from different Excel workbooks stored in OneDrive for Business, and where the each partition gets processed automatically when changes are saved to one of these workbooks. Does this replace SSIS and my data warehouse? The short answer is no. Power Query/M is not a full-featured ETL tool and I don’t think it ever will be; it certainly does not have the kind of functionality needed to perform enterprise-level ETL right now. My view is that Microsoft have built Power Query/M into SSAS for the reasons above and not to encourage enterprise SSAS users to do their own quick-and-dirty ETL when loading data (although there is a risk that that will happen anyway). That said, I think the dividing line between corporate and self-service BI will become increasingly blurred over the next few years as the Microsoft BI stack develops, and we’ll see Analysis Services being used in self-service scenarios as well as the more traditional corporate ones. Referring to data source objects helps to centralize data source settings for multiple queries and simplifies deployments and maintenance if data source definitions must be updated later on. When updating a data source definition, all M queries that refer to it automatically use the new settings. 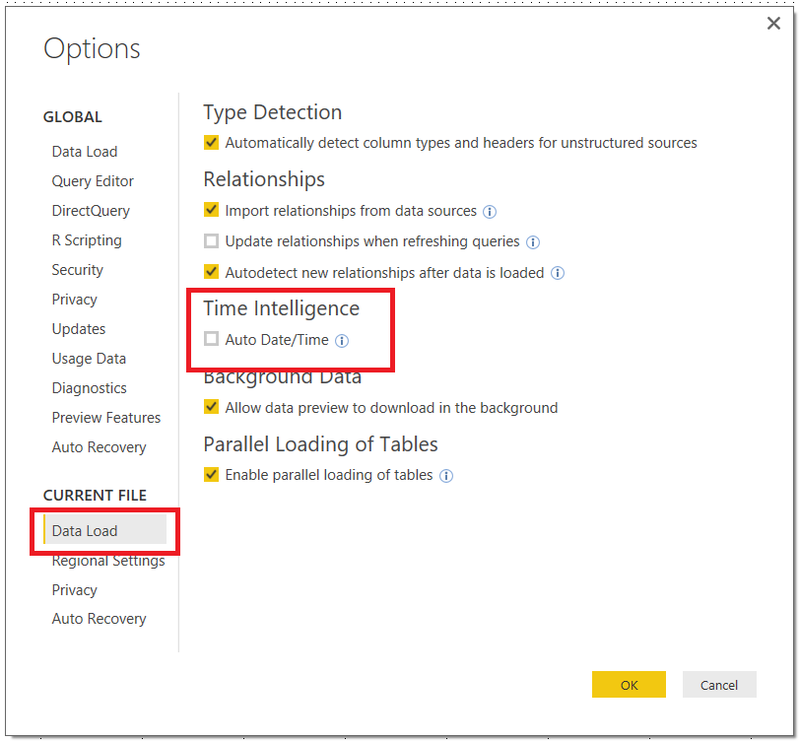 I wonder whether this concept is coming to Power BI and Power Query at some point? I hope so – it makes a lot of sense. Recently I was asked by a customer to do some tuning on an Excel workbook with a lot of Power Query queries in it. Although all of the data used in the queries was coming from tables in the workbook itself and the data volumes were small, there were fifty Power Query queries and clicking Refresh All resulted in a large, prolonged spike in CPU and memory usage by Excel. I’m a big fan of using references to split complex logic up into separate queries, and in this case it was absolutely the right thing to do because otherwise the workbook would have been unmaintainable. That said, there was clearly something going wrong with the refresh in this case. On further investigation I found that if I individually refreshed the small number of queries that actually loaded data into the workbook, they all refreshed very quickly and with none of the ill-effects seen with a Refresh All. So if it wasn’t the queries that were being loaded into the workbook, what was the problem? It turns out it was the queries that weren’t being loaded into the workbook. Both Power Query and Power BI load previews of the data returned by a query for display in the Query Editor; clicking Refresh All in the workbook was obviously triggering a refresh of these previews and this was what was using all the memory and CPU. 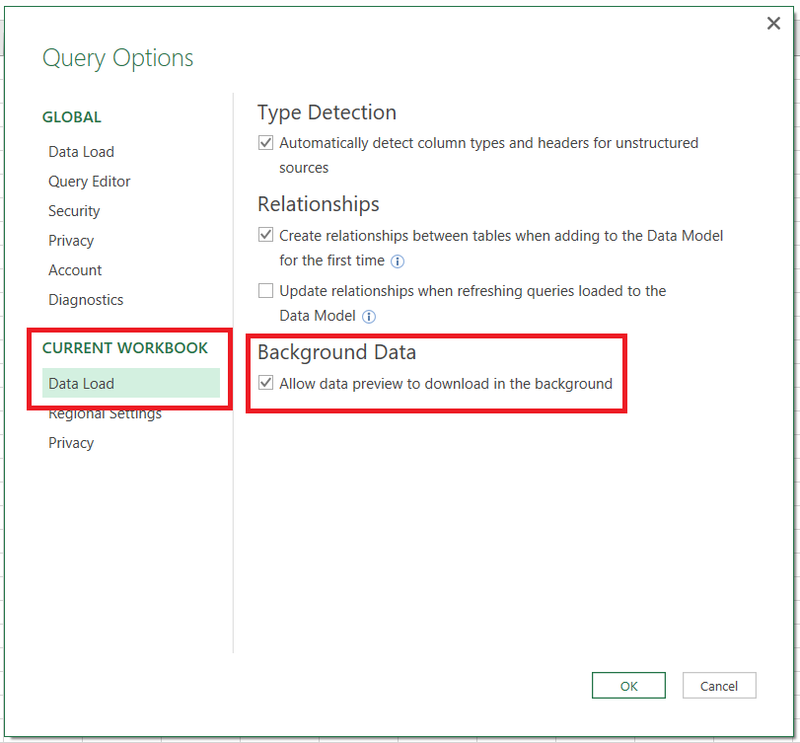 I found that to prevent this happening I had to use an option that was introduced in Power BI in January 2016 and is also now present in Power Query/Get & Transform in Excel: Allow Data Preview To Download In The Background. …you will find that the background refresh of query previews stops. In my case, after I had done this – and with a bit of other tuning using Table.Buffer() – the workbook refreshed very quickly indeed and there was no spike in CPU or memory after a Refresh All. Other people have run into the same problem in Excel and also in Power BI Desktop (see here and here), so it looks like this is an important property to change if you have a large number of queries in a single workbook or pbix file.